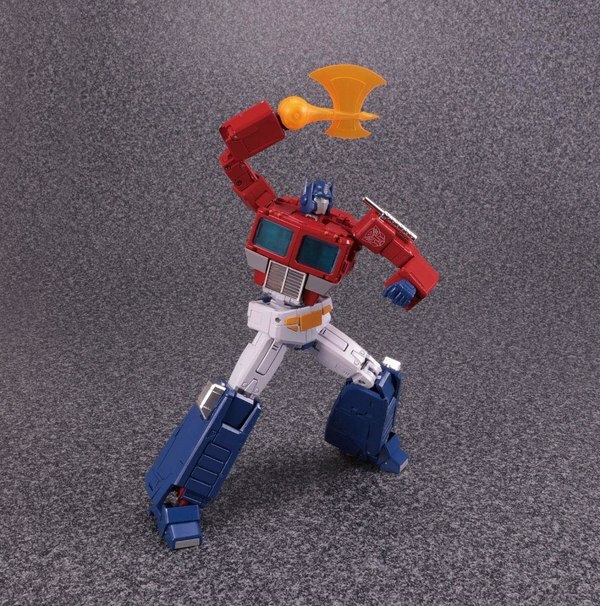 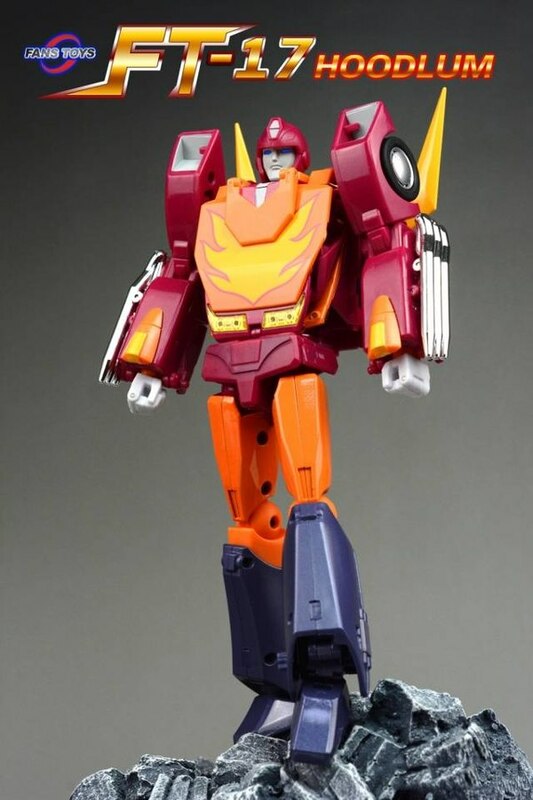 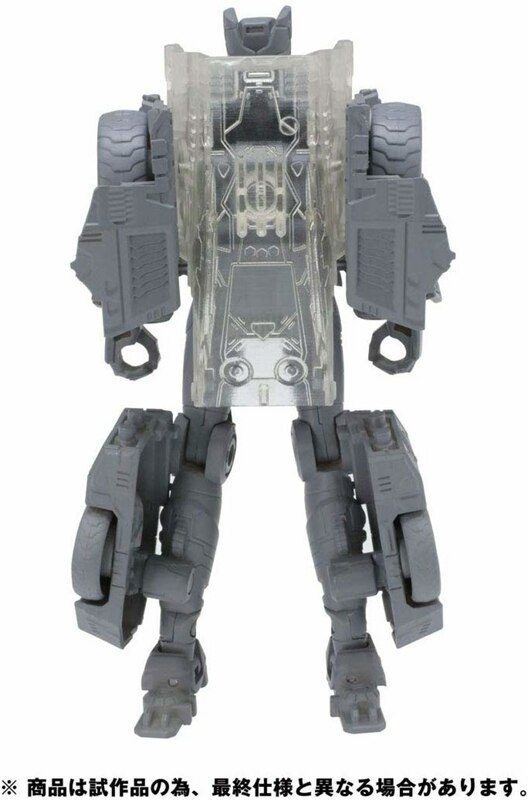 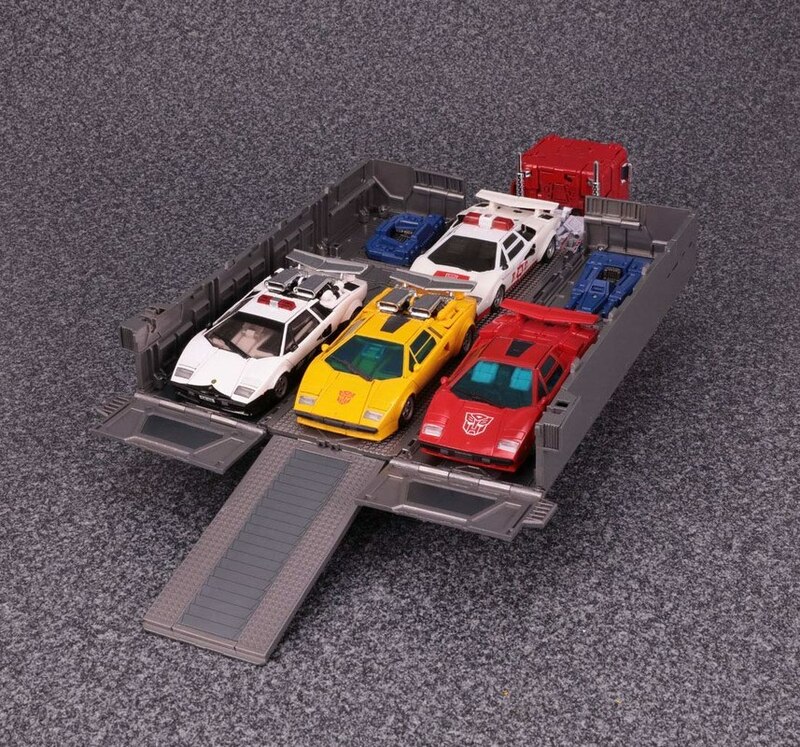 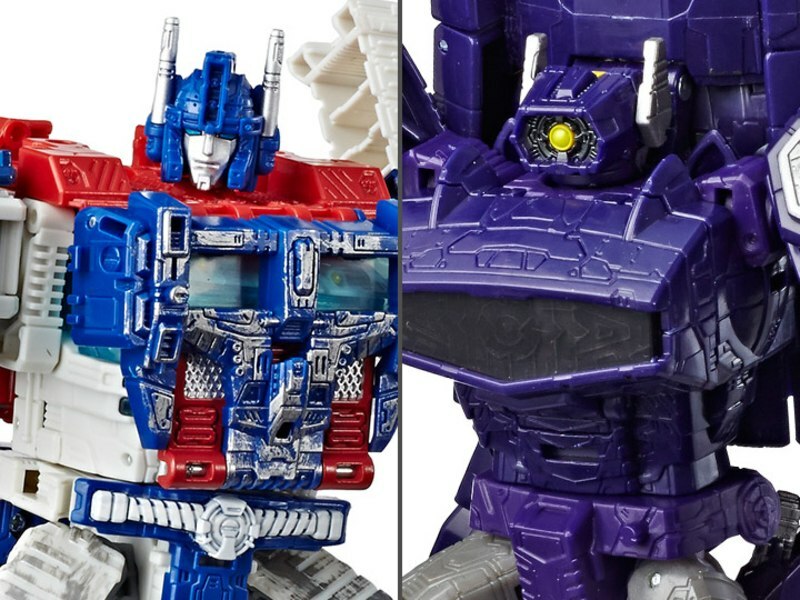 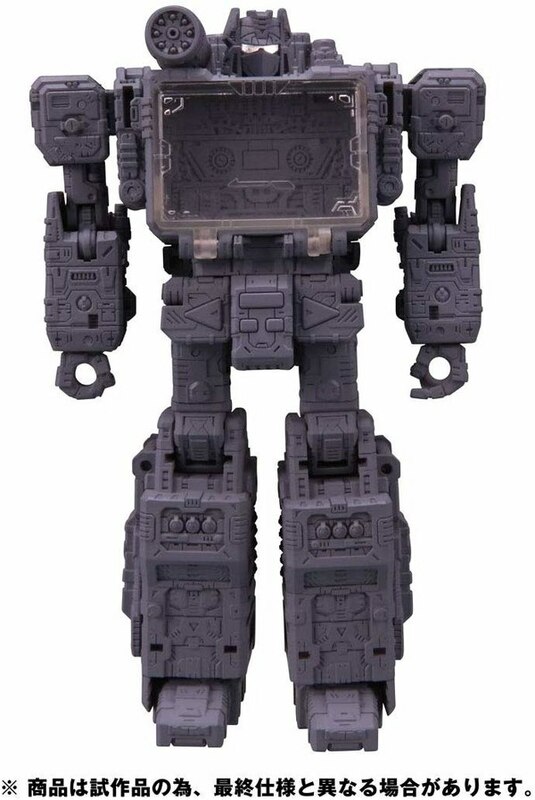 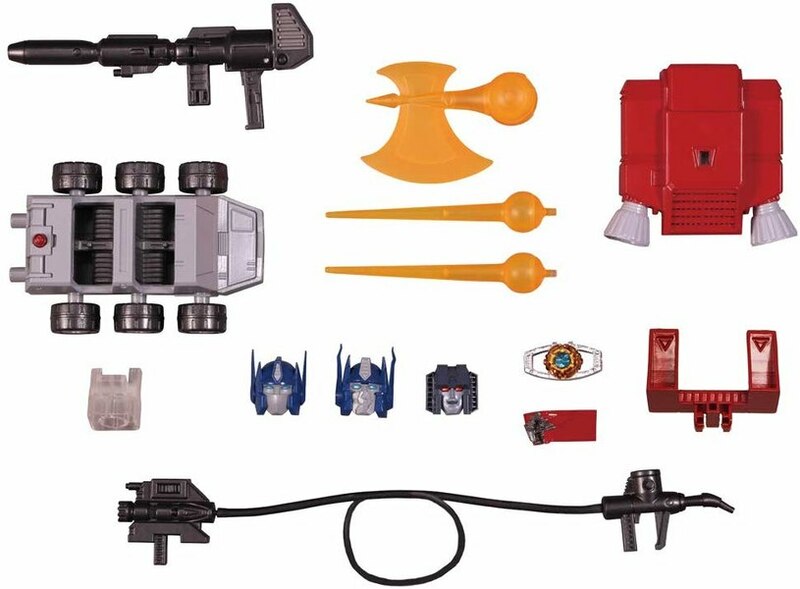 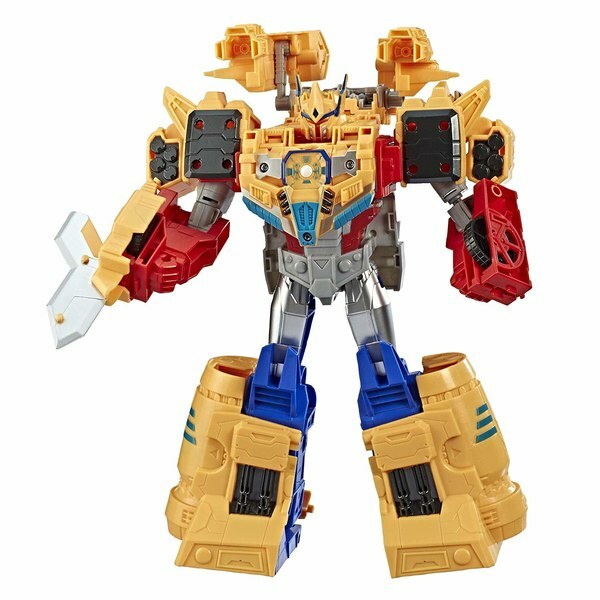 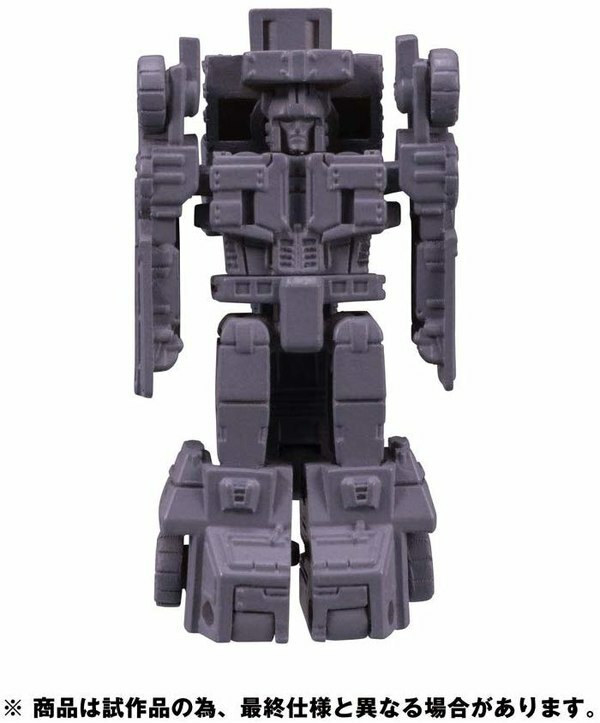 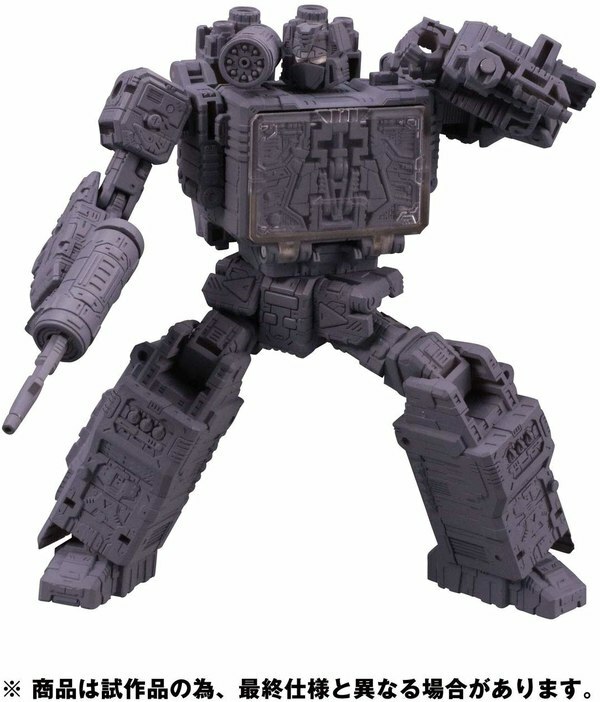 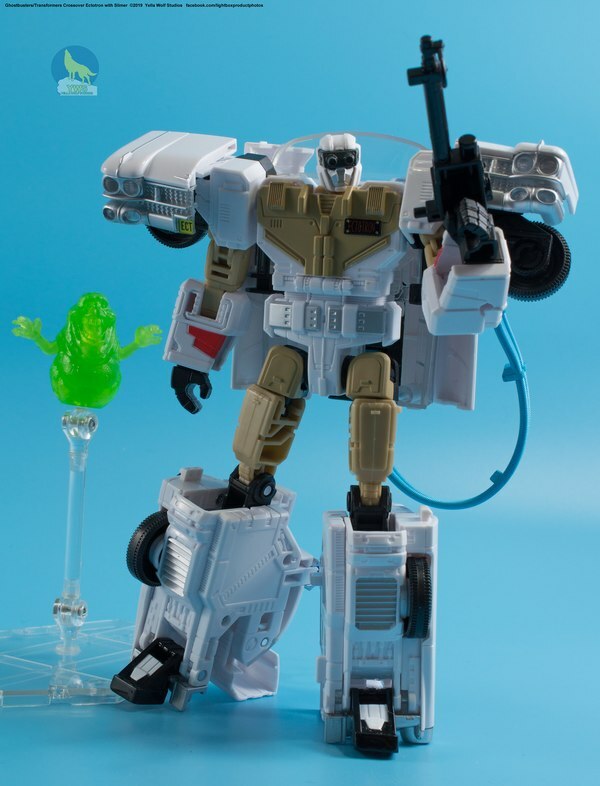 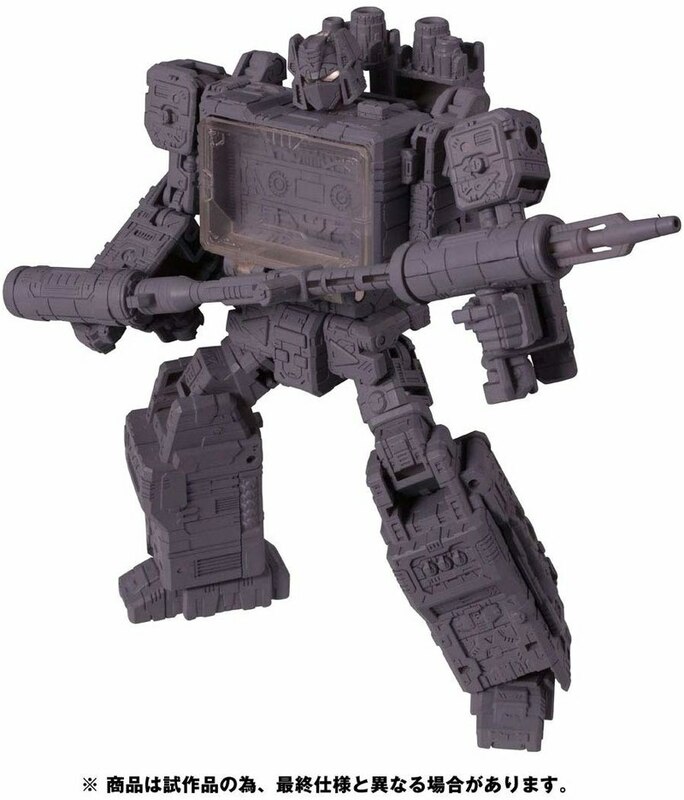 Amazon Japan sort of has product listings for the May 2019 wave of TakaraTomy Transformers Siege releases, consisting of Pteraxodon, Micromaster Rescue Patrol Stakeout and Red Heat, Deluxes Chromia and Prowl, and Voyager Soundwave. 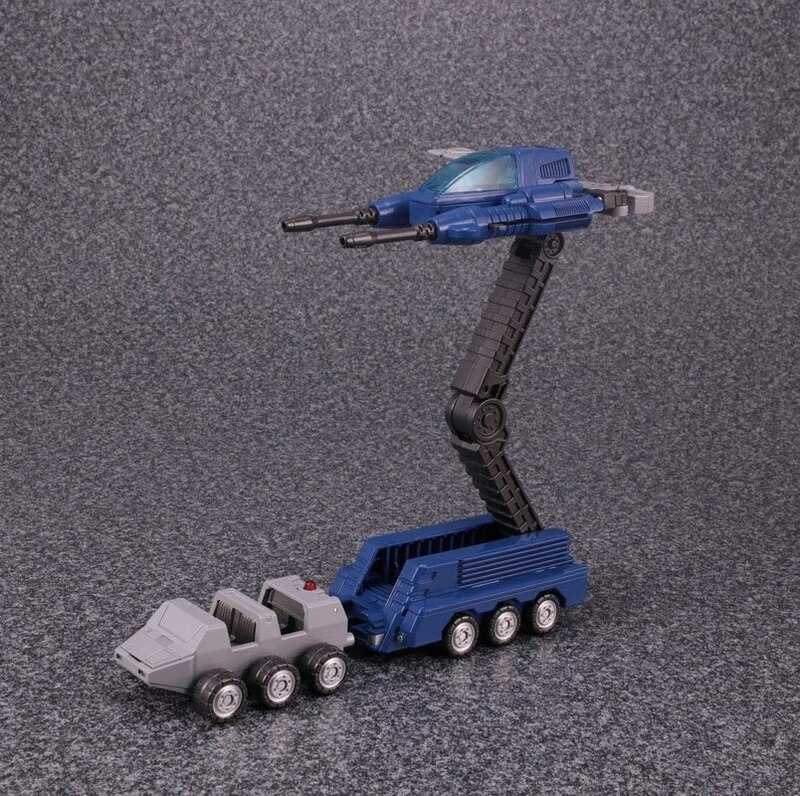 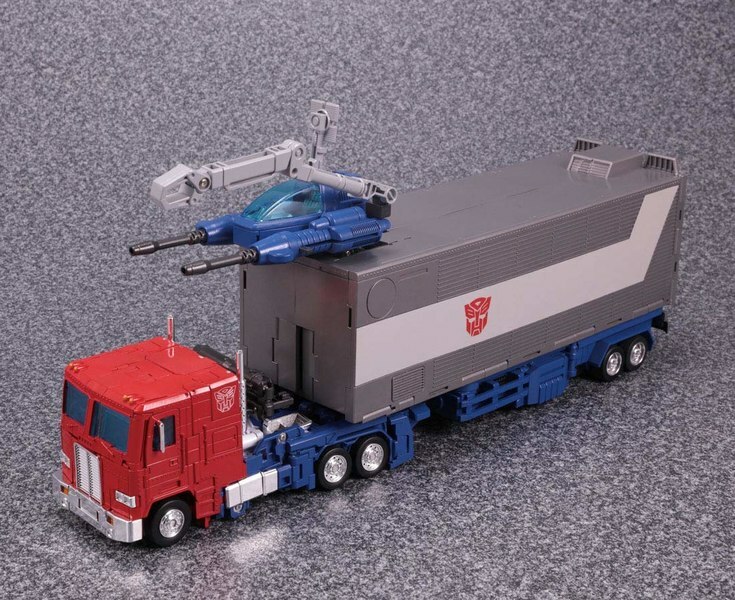 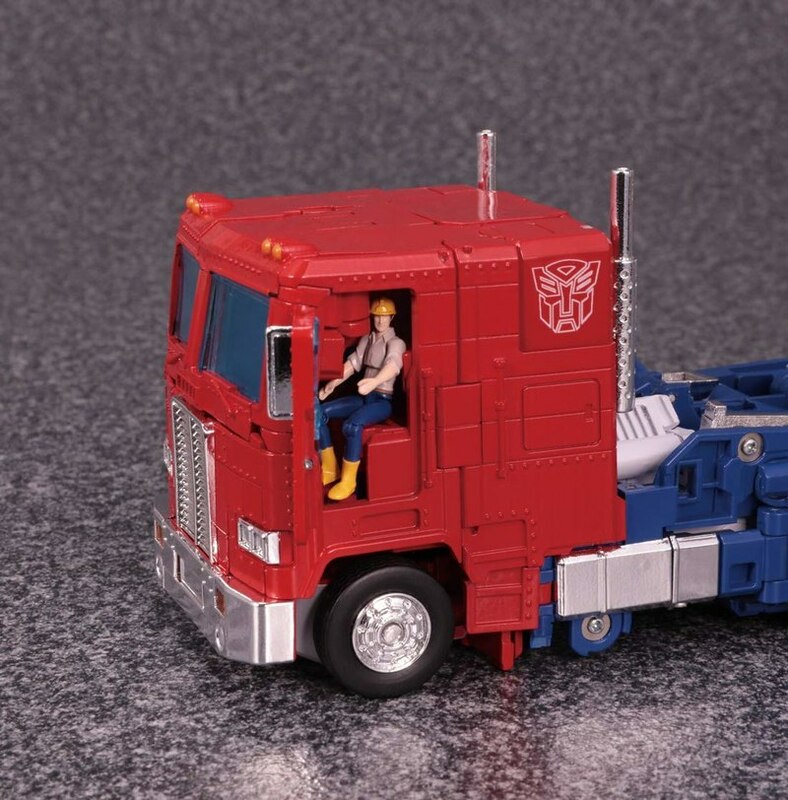 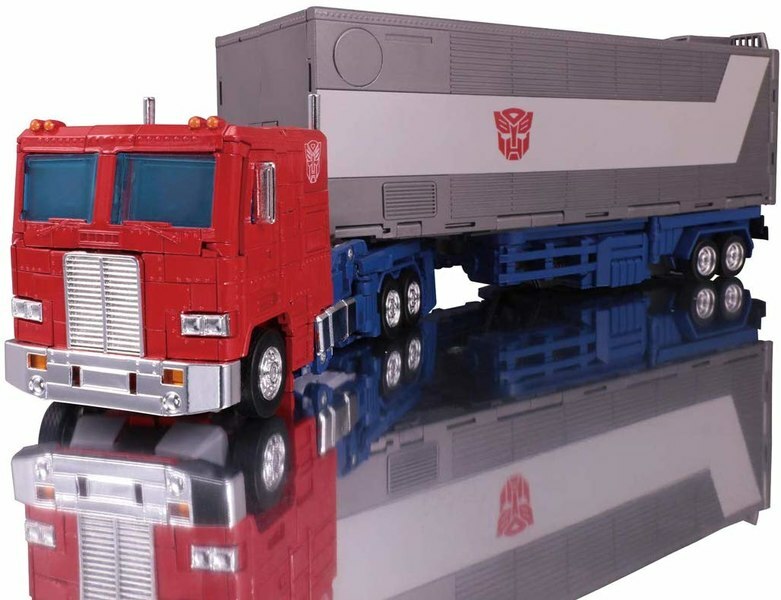 Along with those comes MP-44 Convoy, which is due out in late August. We say "sort of" because much as it can happen with US Amazon, the product pages can't directly be accessed, though some assets like photos can, if you know the tricks. 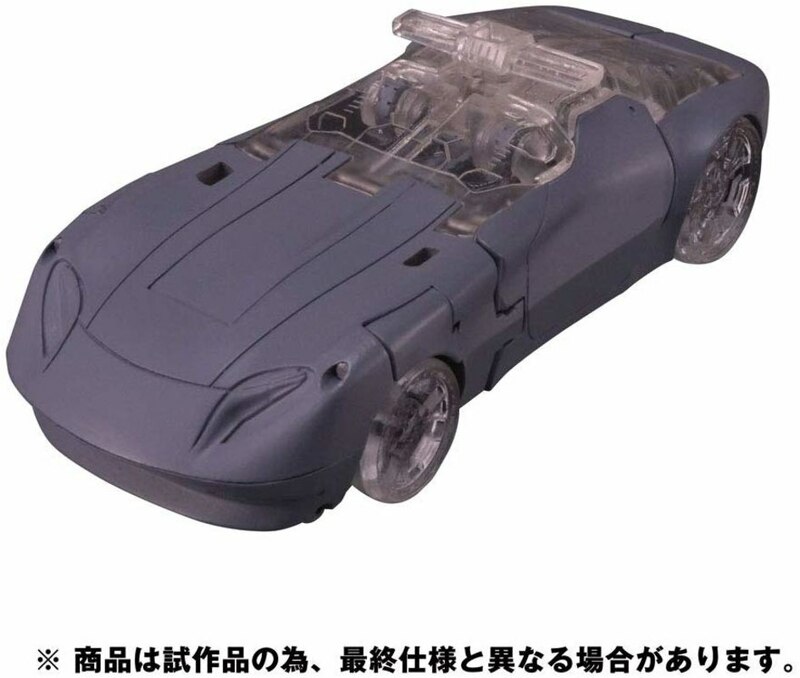 Autobase Aichi evidently does, because they have the stock photos from all of those listings preserved until the Amazon pages in question can be properly accessed, and we've mirrored these images below for the same purpose. 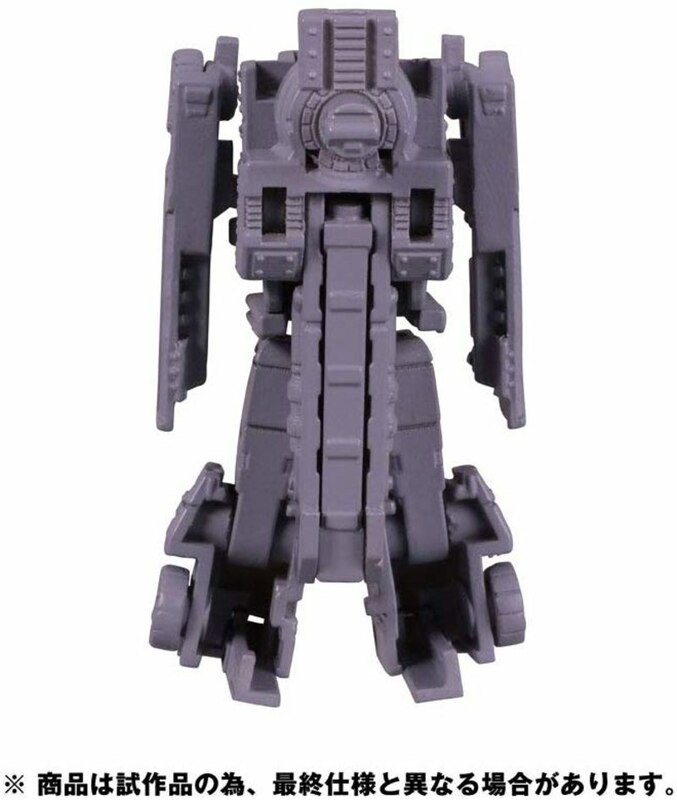 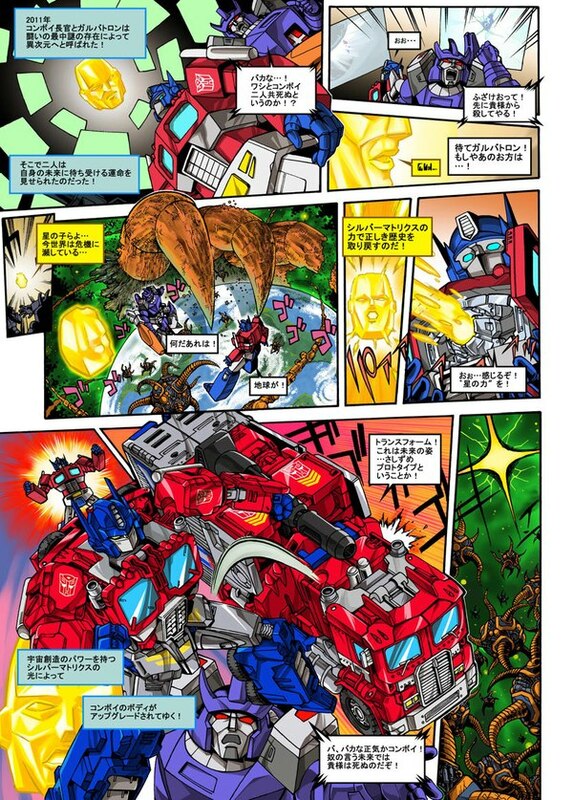 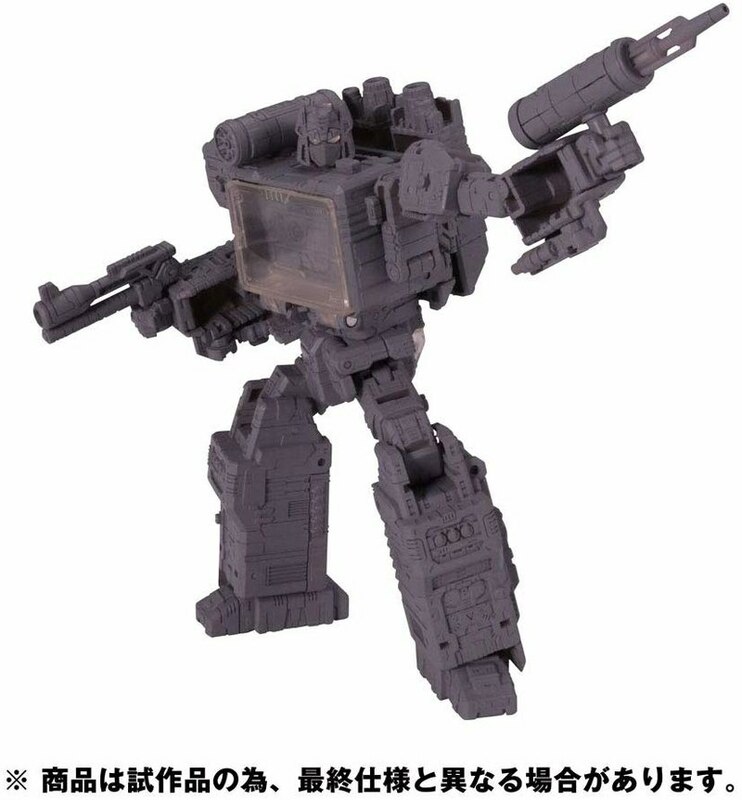 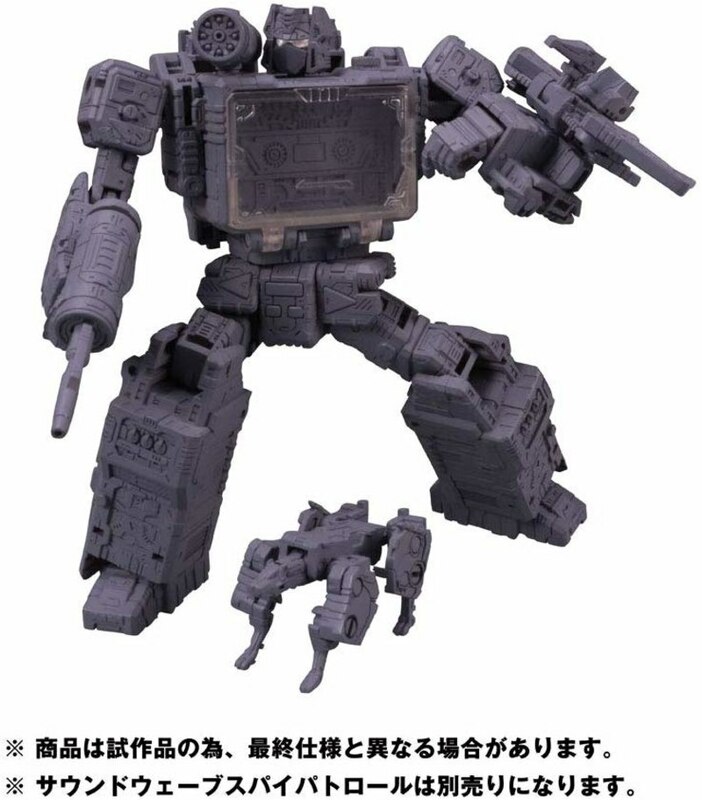 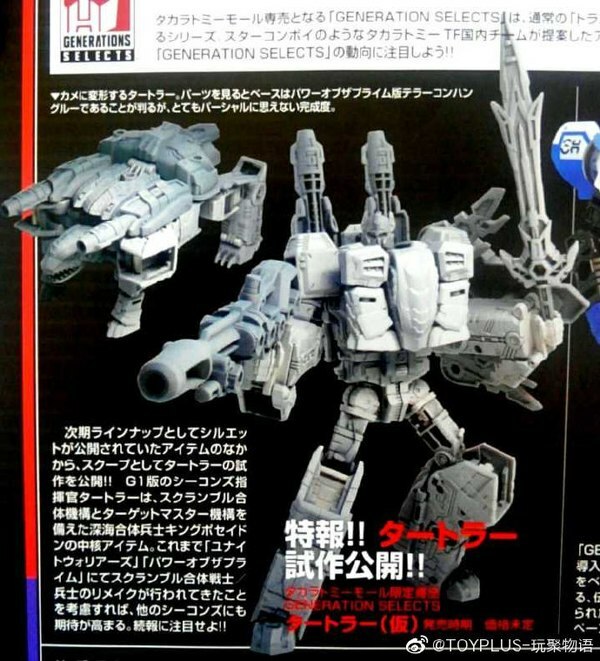 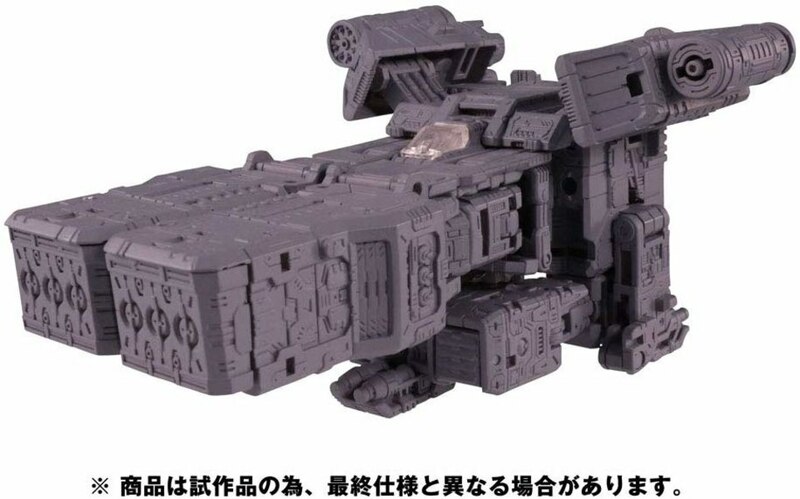 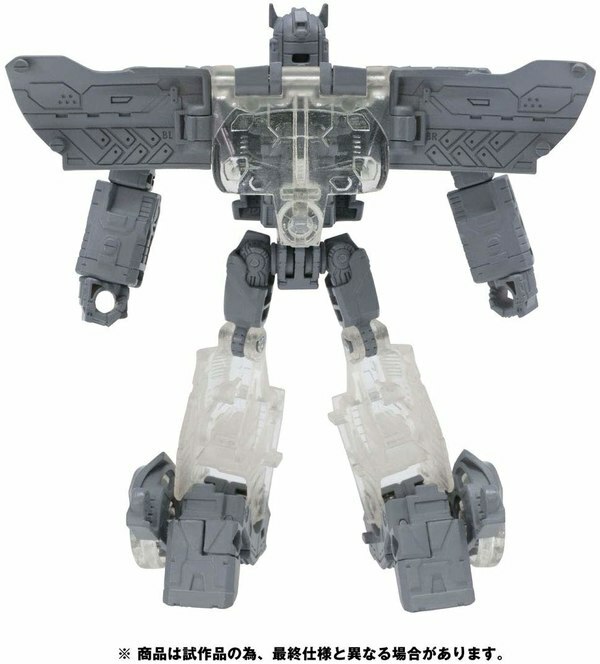 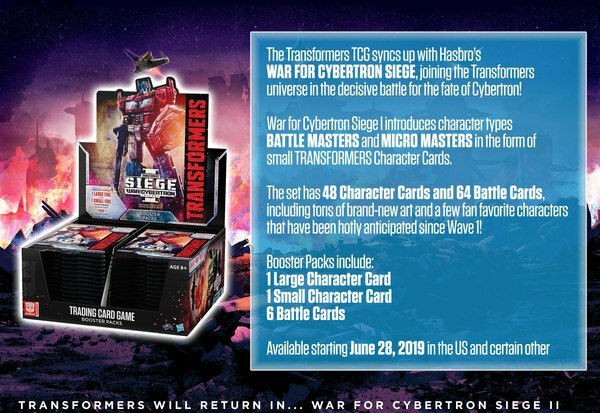 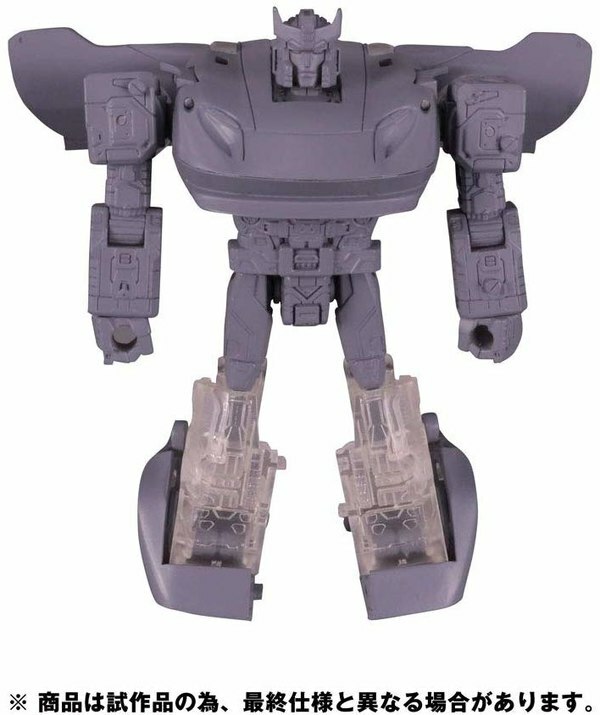 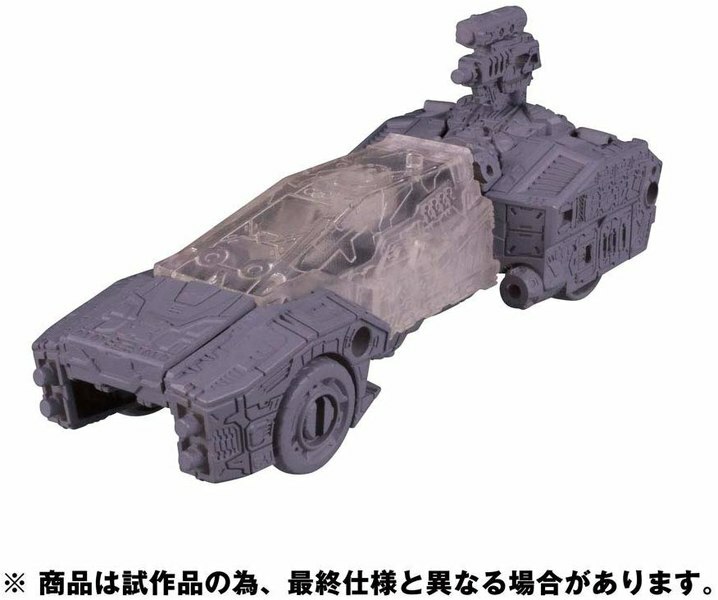 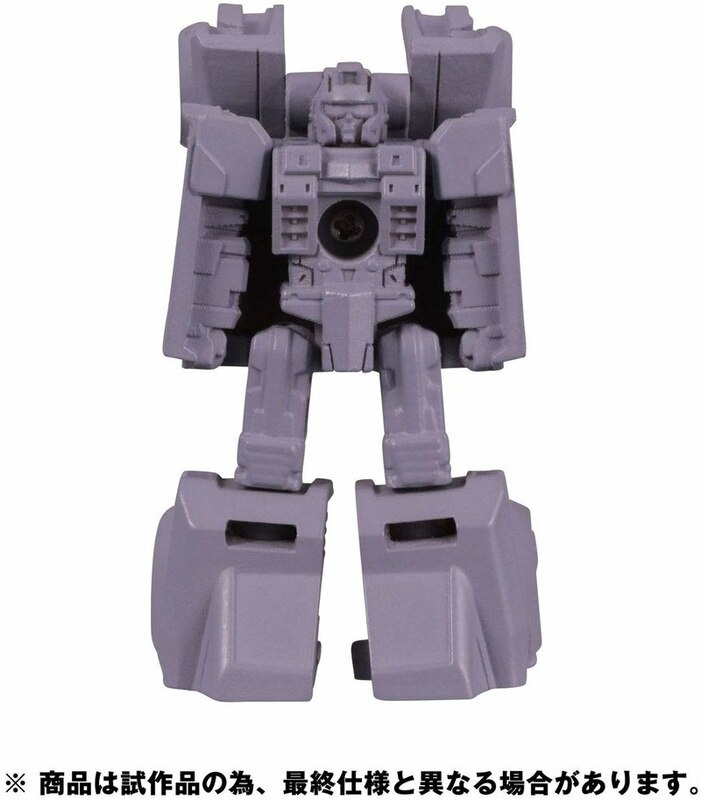 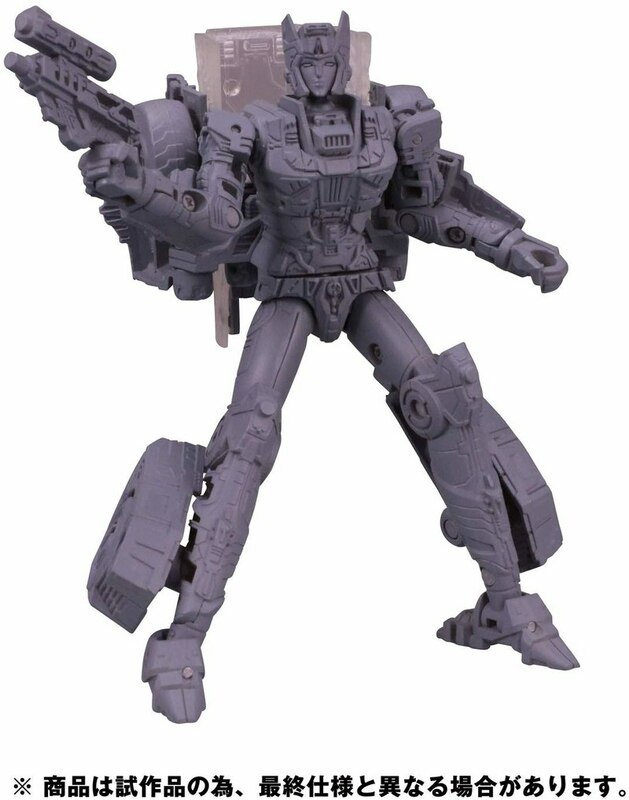 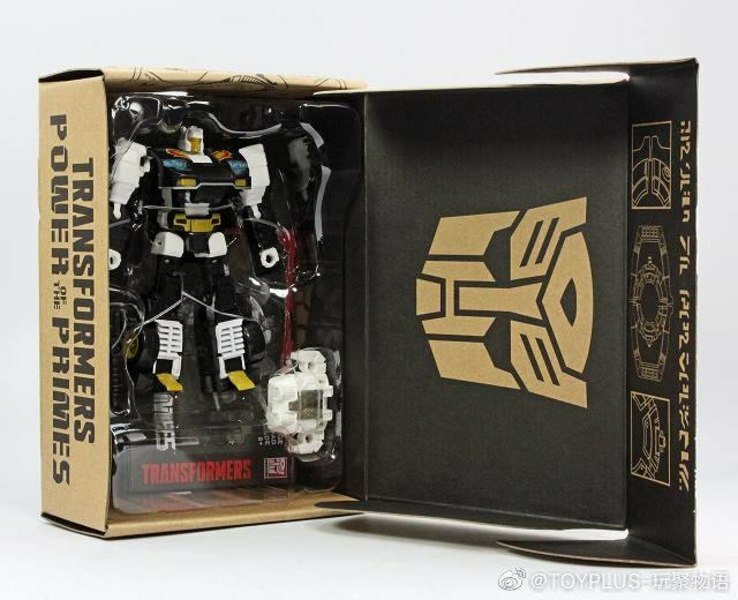 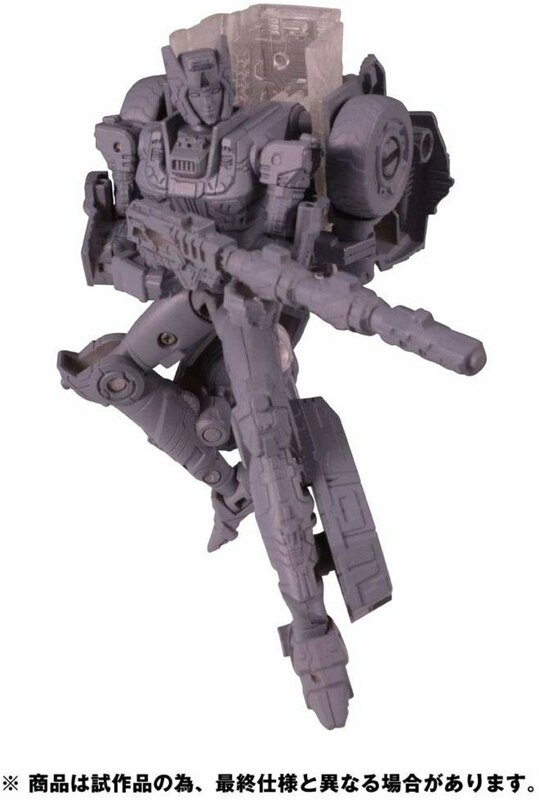 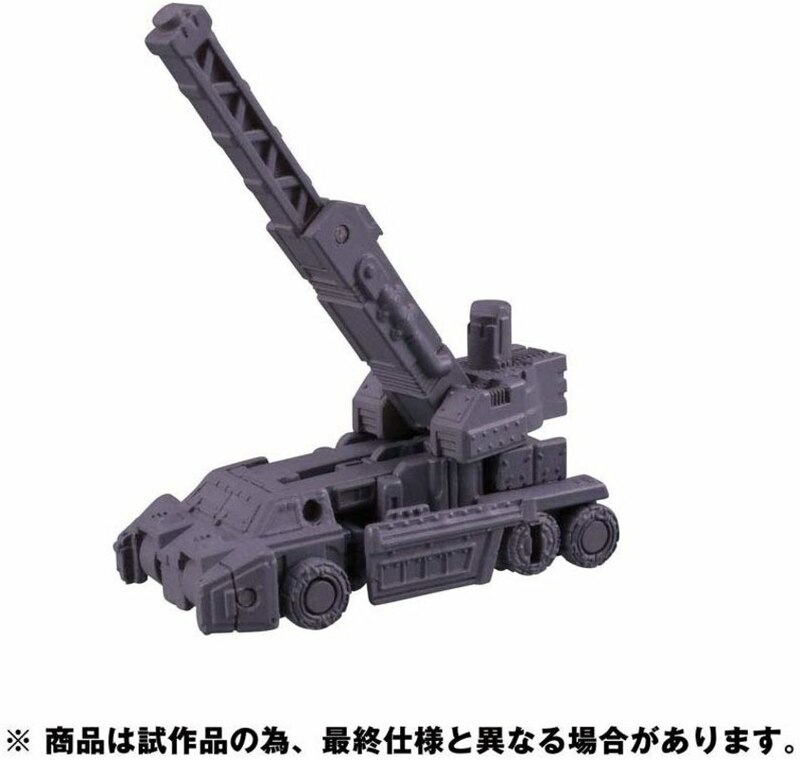 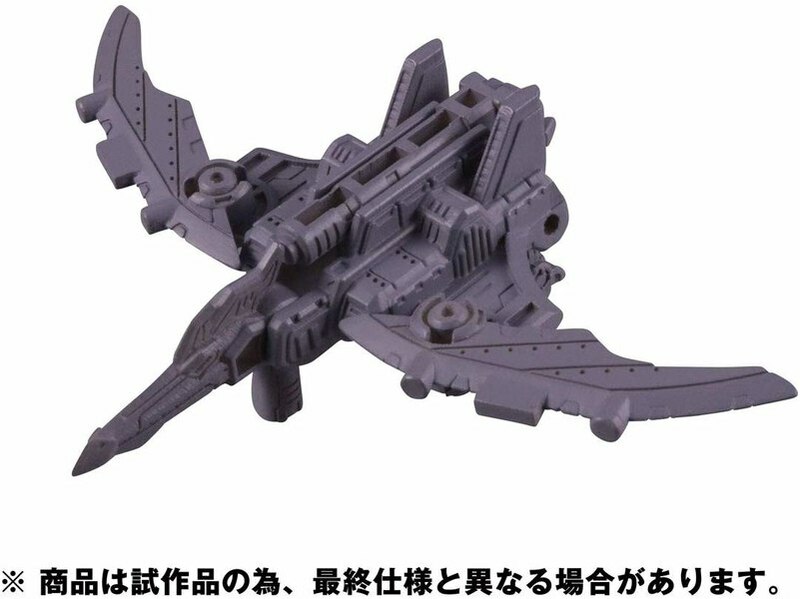 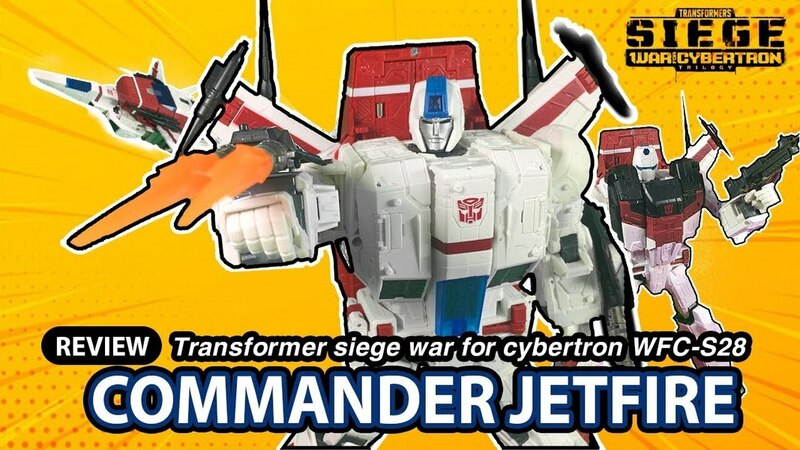 The Siege toys are all represented as grey testshots; on the TakaraTomy side of things, we only just saw color samples of Starscream and Ironhide at Tokyo Comic Con, after even TakaraTomy's website had posted pages using their grey models instead. 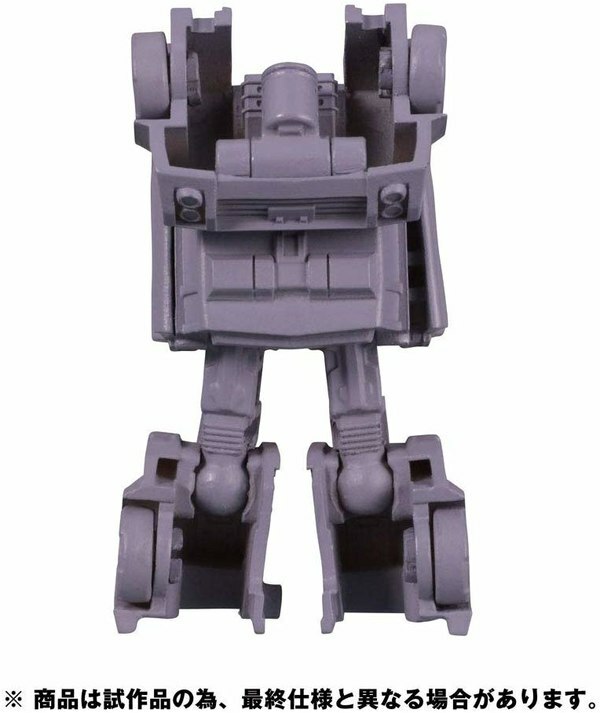 Chromia may be the most interesting of what's shown, as we have a chance to examine the toy in some detail. Having constantly been referred to as a retool of Moonracer and Novastar, the new photos make it clear this toy is almost entirely new parts - even going as far as replacing the ball joint shoulders from the Power of The Primes toys with the universal joints Siege seems to be taking every practical opportunity to employ. 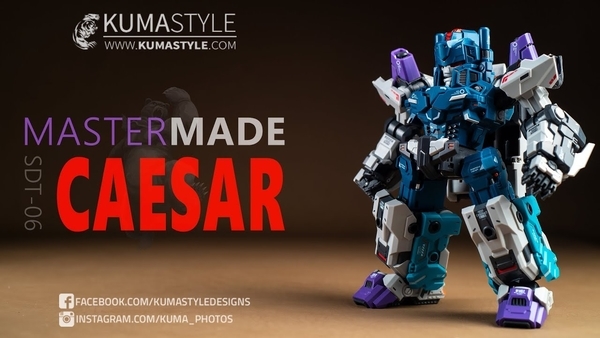 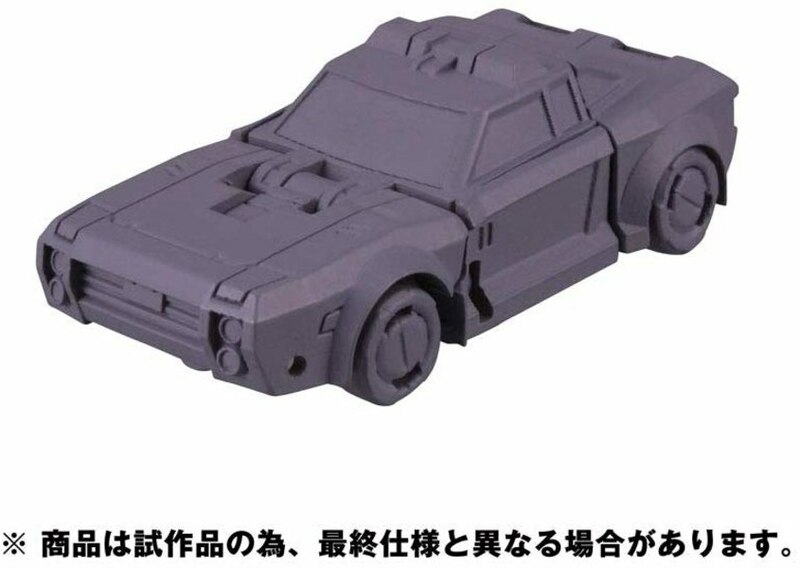 This outcome may frustrate would-be customizers who hoped to perhaps refit Chromia with combiner hardware, as the extent of all new parts would seem to greatly diminish odds of such a thing being feasible. 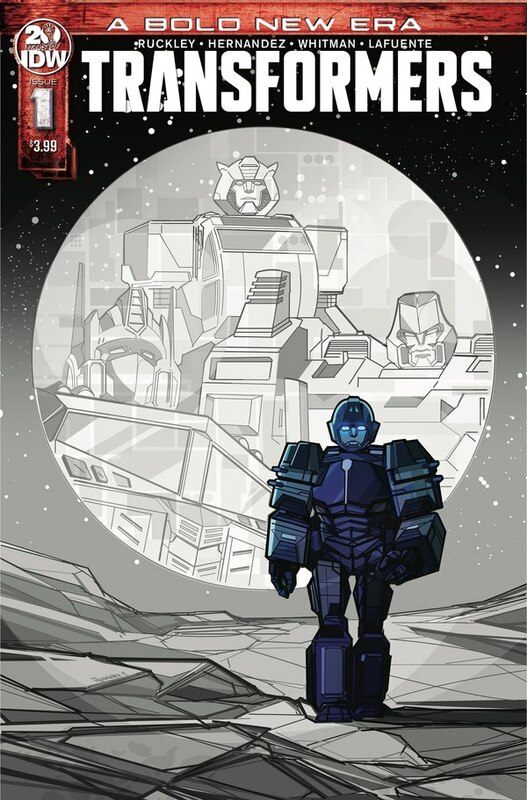 Indeed, by our examination, the only parts Chromia might share with Moonracer or Novastar is the thighs. 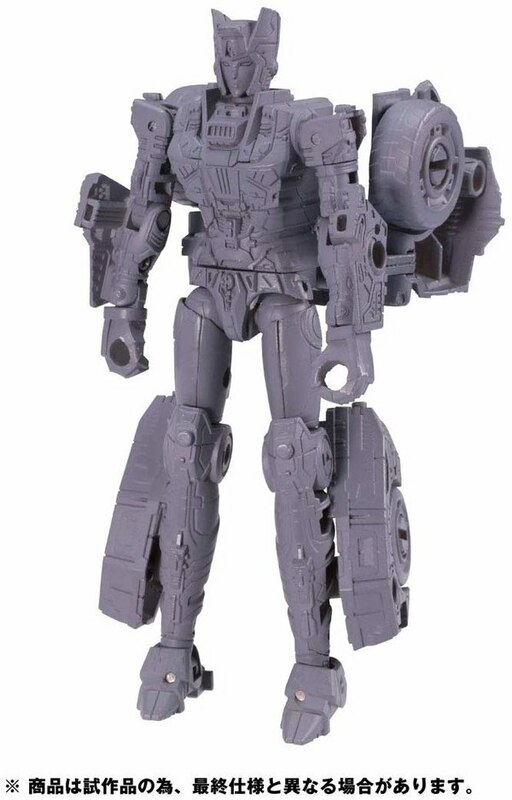 Chromia seems to still have ball joints at the hips, and otherwise the thigh parts seem to have identical detailing. 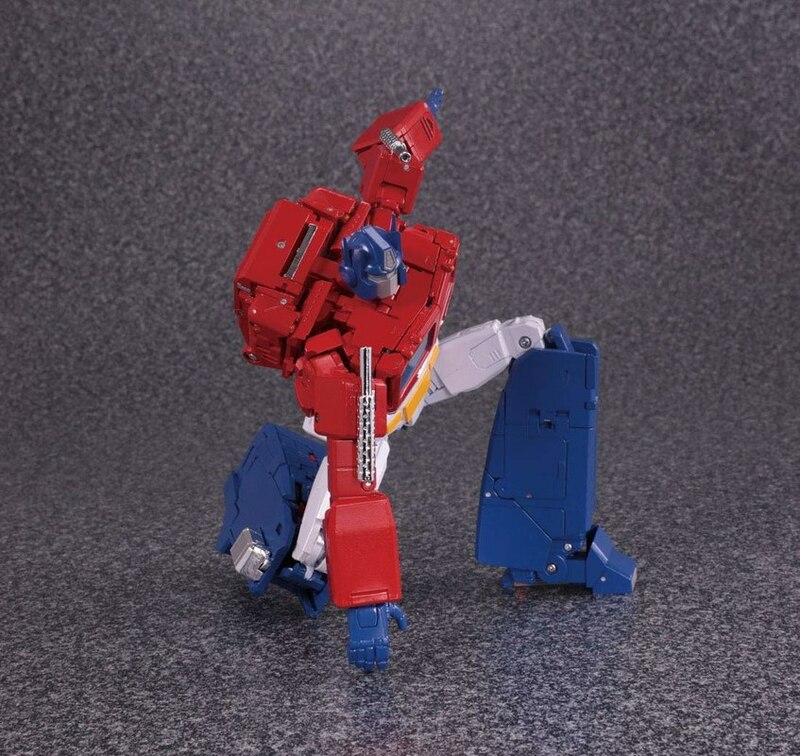 But in a case where even the hands have been changed for new, slightly different, slightly more detail-sculpted ones, it's impossible to say with any certainty that there's not some small difference setting the legs apart. 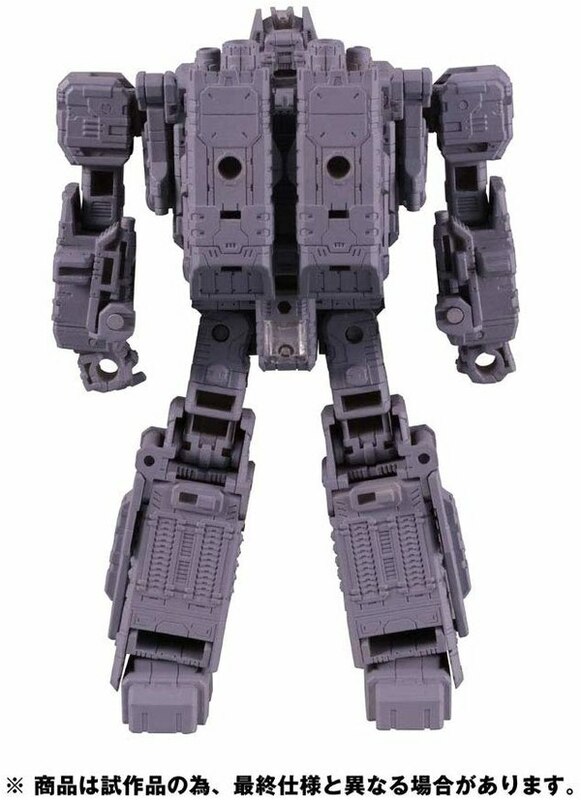 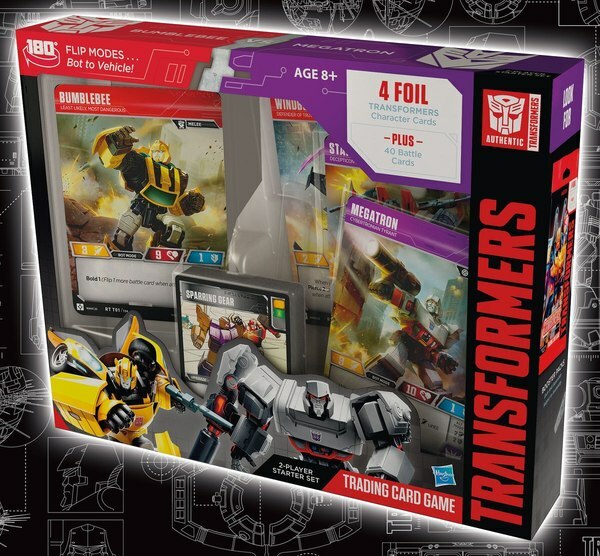 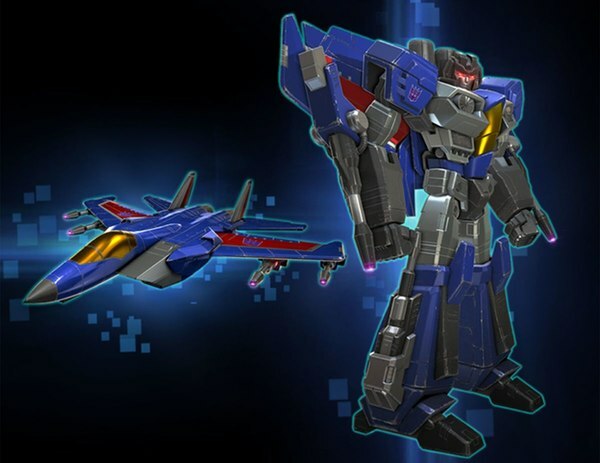 It is effectively an entirely new toy built on the same engineering as we saw perhaps most famously with the pair of Rook and Swindle all the way back in Combiner Wars. 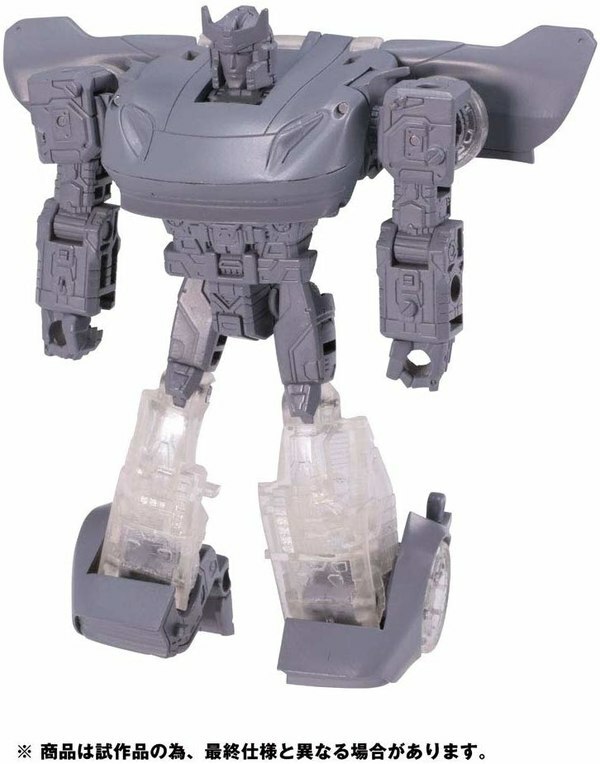 Prowl still looks like an ugly shoe. 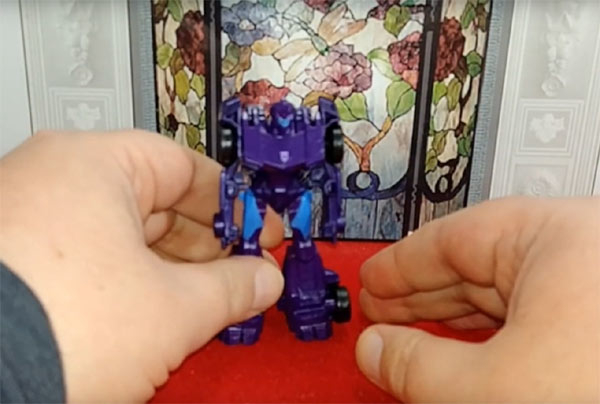 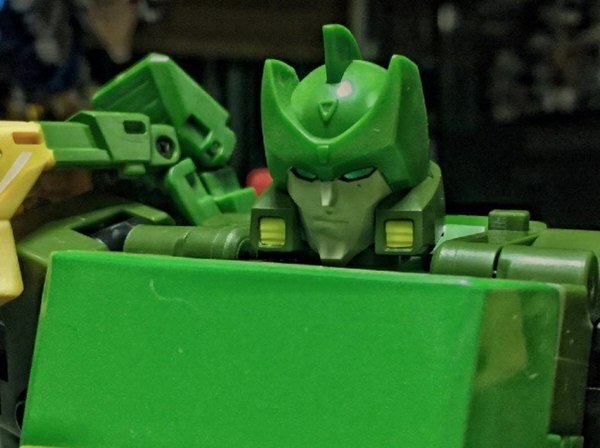 The photos offer a few different angles on Prowl, and they serve mainly to show that the toy swings back and forth wildly between "good angles" and "bad angles" with very little middle ground between. 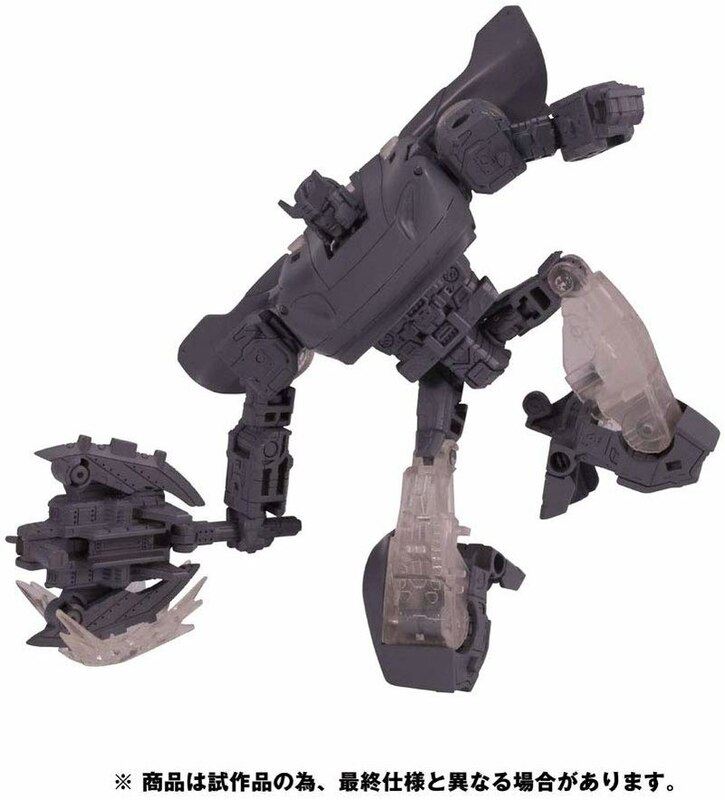 Sadly the great inconsistency in presentation so far makes it very difficult to try to tell what's going on with the design, save for the fact that the shins are almost entirely clear plastic, right up to the knee hinge, causing some concern here over potential fragility of the joint. 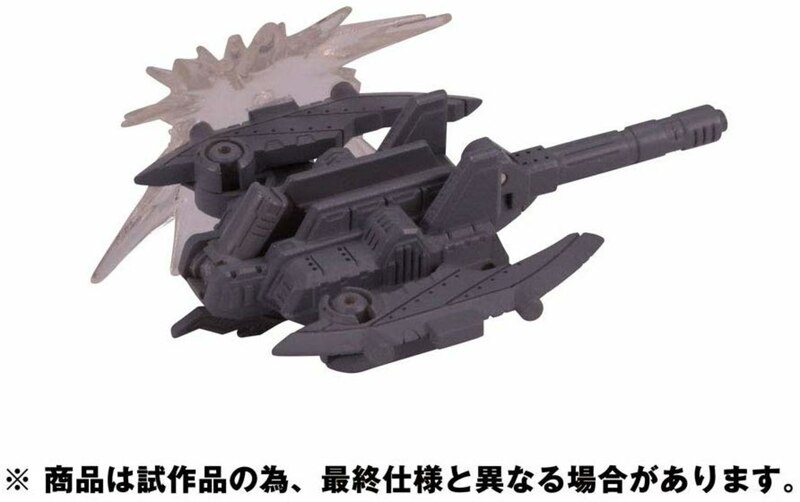 There may be one or two more photos mixed in the MP-44 batch, but it's still largely the same as we've seen before. 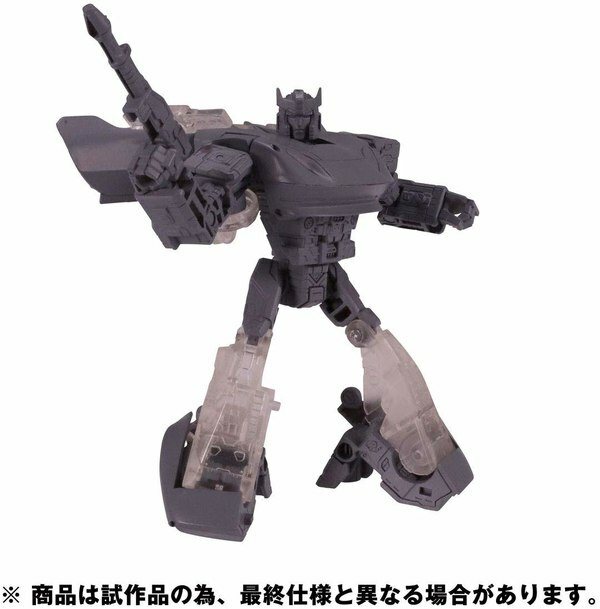 These photos make it easier to tell that the figure's option heads include a "season 1" head along with the damaged and Starscream heads. 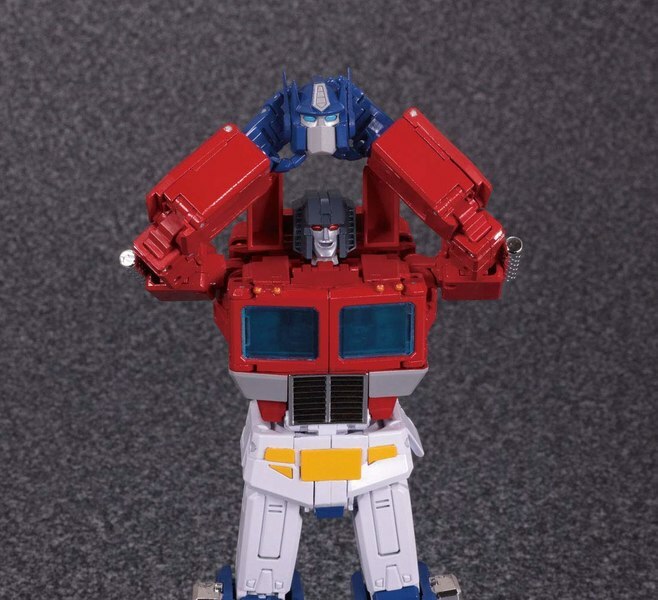 The main head still represents the later tweaked look, as does the damaged option, both surely trying to capture the iconic look of the animated movie. 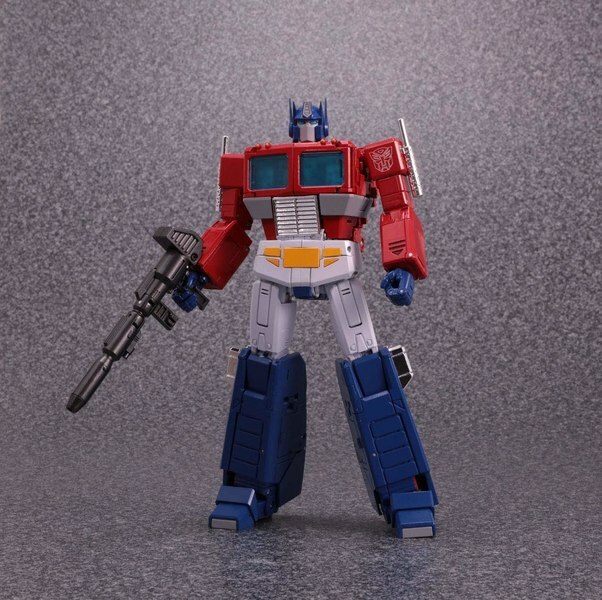 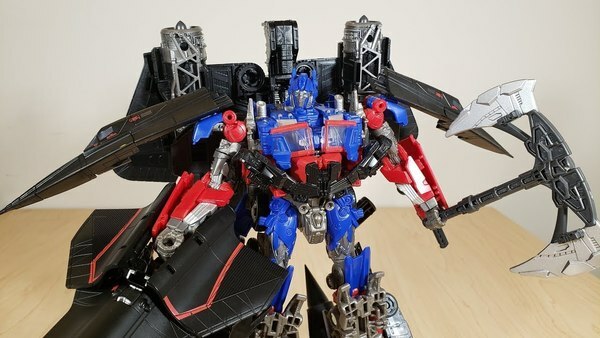 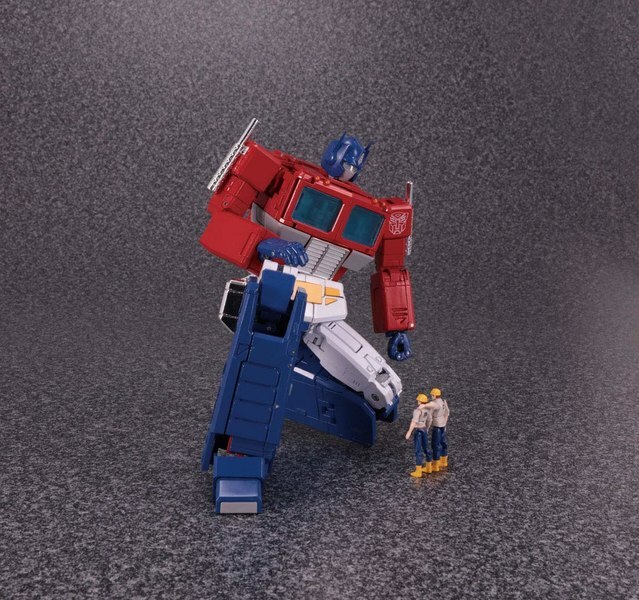 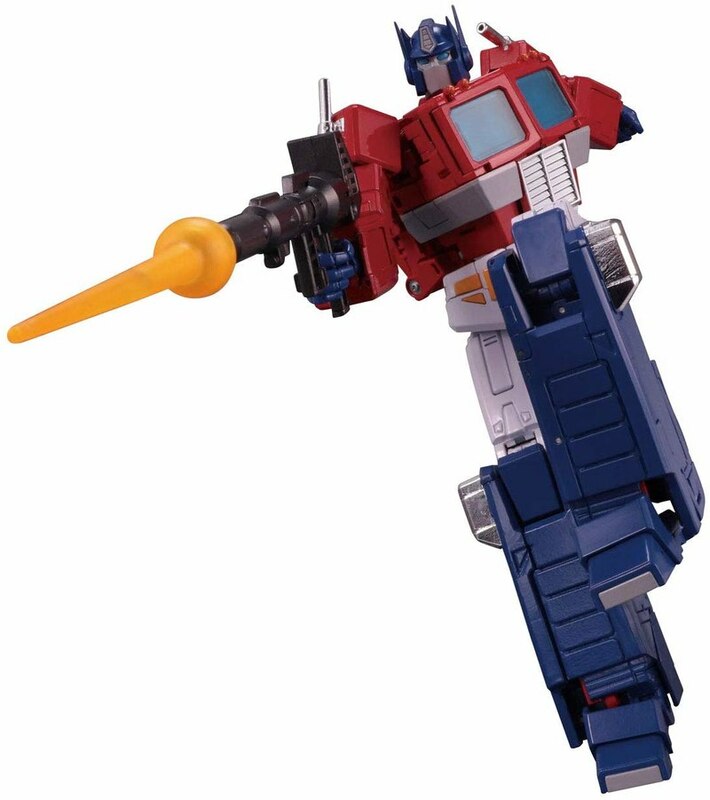 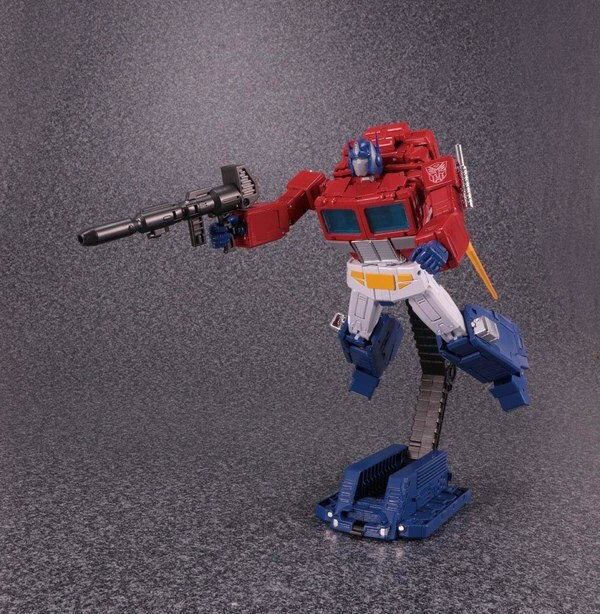 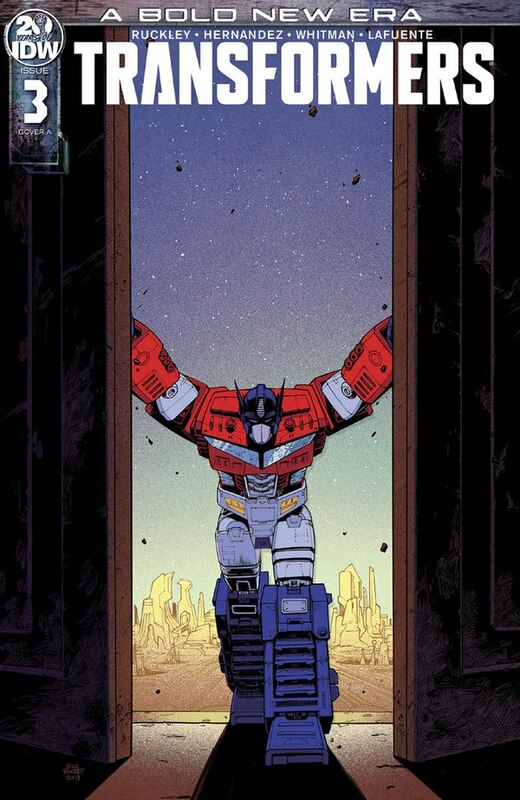 Will you be getting the Masterpiece MP-44 Optimus Prime Version 3?